Descriptive essays are such type of written assignments which deal with impressions, memories, imaginable situations, feelings, psychological associations, etc. Students enjoy writing descriptive essays because they allow for almost unrestricted freedom of choosing means of expression. Besides, descriptive essays do not require too much theorizing or reading comprehensively on the given topic. The following list of top 100 descriptive essay topics are only examples of what you can write about. You can easily modify them or transform according to your own feelings and plan. This section provides possible topics for a descriptive essay related to your favorite things you might enjoy doing or to your first impressions regarding specific events. Describe its plot and your favourite episode in the movie. Describe your favourite movie character and explain why you like him/her. Write about your favorite book - a novel, a volume of essays, scientific monograph, etc. Do you have a hard copy of it at home? Here you need to use your imagination for the most part. Try not only to describe the exterior and interior of the house, but also the feelings related to it. Who is your best friend and why? Do you remember the first time you met? Where did you go and when? What had you expected before the trip started? What was the most important thing you still remember? This is a serious topic for a descriptive essay which can make you very excited (and even sad), so don’t pick it up if you do not feel comfortable writing about it. This is another topic for a descriptive essay which can be exciting. Make sure to write an essay and not a short diary of your romantic feelings. You have perhaps attended many concerts but which one will stay in your memory forever? If you belong to the Millennium generation, this descriptive essay topic will not be suitable for you; in any other case, you can write about your first feelings and experiences while dealing with the internet. What exactly do you like about this style? What feelings, associations you have while listening to it? Strangely, but sometimes happiness is expressed with tears. What happened and when? Many people say they were afraid before boarding the plane for the first time. Did you have the same feeling? What did you feel while looking at the earth from above? Not everyone likes long journeys. Did you have the same feeling and where did you go to? These descriptive essay topic ideas are related to your observation skills. Here you can write not only about things you have experienced but also about objects and things which you have seen only on TV. For example, an essay on the first topic can tell your personal story but it can also be based on your imagination. Have you traveled across the sea? Tell your reader about your experience. Is it a city, a town, a mountain or a volcano? What did you feel like when you were there? Or if you have never been there, what captures your mind and makes you plan to go there? Which is your favourite top 10 list? Think not only in terms of cities, but also places or countries. Tell what you think about Asia and its beauties. Is Australia only Sydney? Is New Zealand only the land where The Lord of the Rings has been shot? Go to an imaginable journey through space - through solar systems and galaxies. Where would you go? This descriptive essay topic is a little bit philosophical. Describe your feelings associated with the observation of the stars. 23. What can an astronaut see? Have you asked yourself what an astronaut can see from the International Space Station? Imagine you are a part of such an expedition. Describe all the excitement and difficulties. Nature, history and mysteries - they all inhabit these lands. Try your imagination, or describe your real experience. One of the most mysterious countries in the world, Iceland is famous for its volcanoes, geysers and Northern Lights. Have you ever seen the Northern Lights? Maybe you have watched a TV documentary about it? Share your thoughts and feelings. Have you ever been to Canada during the White nights? What is it like to observe them? How a seaman feels while being on a ship? How does it feel to be far away from home? What is it like to go on a safari, or to see a lion standing not very far from you? These descriptive essay topics deal with important events and persons from the world history. You need to have some knowledge about these topics in order to write a good descriptive paper. What was so remarkable about this man? What did Napoleon want and what he eventually achieved? It is one of the most important events in our history. Can we say that this was the Voyage of Hope? How was this important war perceived by the common Americans? What is war like? One of the most devastating battles in our history. Why was Pearl Harbor important for America and what were its consequences? Do you have a family story related to it? What is it according to you? Describe it and say what influence it has had on America. Why has he/she and what has he/she done? What can one see in such a museum? Here you can describe your own experience. Is it true that school is always detached from real life? Can a history lesson be identified with a lesson of life and about life? What was the life of such a pirate like? Would you do something similar? This section comprises descriptive essay topics which are more reflective and introversive. The topics are abstract because thus you will be able to find your own approach better. Imagine it - maybe a scene from your childhood, or an evening with your own children. The word “fairytale” may also mean a wonderful place, a beautiful moment; you should not comprehend it literally. Summer is the favourite season of many people. What do you associate with it? What is it like to be in your school for one day? What happens during classes and around the school? Who is the teacher that has inspired you the most? What do you associate with Christmas? Have you ever felt the spirit of Christmas and how? You don’t need to describe your childhood, just focus on several special moments or events. Did you go out in the mountain with your parents? What was it like? Is staying at the seaside your favourite moment in life? What do you do then? What is your favourite pet and what memories do you have related to it? Here you will find some hints which can guide you through your descriptive essay. Use your imagination. These topics for descriptive essay are very abstract. What has impressed you in this movie? What does he/she look like? How does he/she behave? Is he/she your favourite newscaster? Why have you chosen exactly this movie? What do you associate it with? What is the poem and who is its author? What associations emerge with it? Novels are different - hard and easy to understand. Which one do you want to describe and what thoughts and feelings it provokes in you? Hint: it doesn’t necessarily have to be your favourite novel. Who is this writer that provokes you the most? He/she can be a fiction writer, a philosopher, a journalist, etc. Describe a bookstore and your feelings while entering it. It is easy to describe a painting but can you interpret it properly? How is it like to visit a museum? Which one and why? What do you feel while dancing this dance? These topics for a descriptive essay require description of your daily routine - can you show the most interesting part of it? Try to reach general conclusions, not merely describing events and places. What do you search for in the supermarket? How do you feel? Do you feel like one of the countless consumers? What do you think on the way to school? Or, if this is past, what do you associate with this way? What do you think or feel while going there? Are you afraid of anything? Perhaps the simplest topic for a descriptive essay out of all. What do you do? What do you like to do in your daily routine? What about your dreams? Do you like visiting your neighbors? What is it like for you? Why do you think it is important? What do you like exactly in fishing? Can you describe what you do? Everyone likes cooking. Do you cook and how important is it in your life? Sport is important. Do you go in for sports and why? What motivates you to go in for sports? Spending time with your only one can be also an interesting topic for a descriptive essay. May be you can share some ideas about it as well? There are such days in everyone’s life. Tell the reader about it unless this provokes unpleasant feelings in you. You can try to be ironic, for example. These topics for descriptive essays are related to intellectual issues and require deeper understanding of what you write. You don’t need to have a definite point of view. Neutrality could also be the principle of writing a descriptive essay. Tell about it (if you don’t mind). A serious question which can be approached to in many ways. The simplest question is: what feelings do you have about God? Tell the reader about your personal experiences as a believer. Why is he/she your favourite? What is his/her best contribution? Tell about the philosophy of your life, or personal worldview. This descriptive essay topic is very deep. What is it? Tell your personal standpoint. Which is this theory? Is it part of biology, physics, medicine? Tell about your experience and adventures (metaphorically said) with science. Describe a technology which has impressed you a lot. Write a descriptive essay about a scientist with important contributions for mankind. These descriptive essay topic ideas concerning various interesting professions. You can write about a particular person or merely tell about the person’s job and duties. 81. What is it like to be a football player? Describe the life and work of an American football player. NBA players get a lot of money. Is their life easy though? Tell the story of such a champion, a story full of suffering and dreams. 84. What is it like to be an aircraft pilot? Really one of the most difficult professions, the job of a pilot is quite interesting. Write a descriptive essay about it. What does a doctor do in the Emergency room? Is it that easy to be a movie star? Engineers are rarely famous but their projects are essential for our way of living. 88. What is it like to be a policeman? Obviously it is hard to be a policeman, but what exactly a day of a policeman looks like? This is not exactly a profession but it is rather combined with politics and diplomacy. What does a soldier do? Describe one romantic day of the spouses. There are many projects which were never implemented. Can you tell such a story? Not only human beings have their stories but animals do as well. You can choose another animal if you like. What is it like to walk in the zoo? Is it different when you are an adult? An interesting descriptive essay topic which will provoke a lot of interest. Have you tried to meet new people online? How did it happen and what were the consequences? What was extraordinary about it? Do you have your own superstition? Or maybe someone around you? What is interesting about it? What about computers in your life? What is women’s favourite place? A shoes shop? A jewelry shop? Remember to apply a particular approach to the particular type of a descriptive essay topic. Topics which require more reflections and philosophizing cannot be written in simple words. Before starting your descriptive essay, make sure you understand your topic and the task assigned by your instructor. 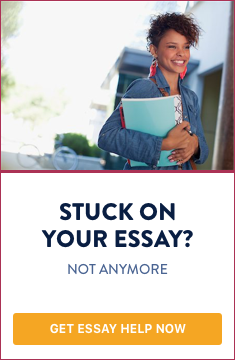 Also, ensure you know how to write a descriptive essay outline which might also be requested by your professor. Try to imagine the situation described - even if it has never happened to you (for example, if the topic concerns your dreams). Play your part in the story - either as an active actor or as a neutral, passive observer. Never forget that the reader should be attracted by your descriptive essay - think how to do it. A mere description is never enough. Before starting your descriptive essay, try to imagine the situation described; play your part in the story - either as an active actor or as a neutral, passive observer. Never forget that the reader should be attracted by your essay.